Fernando Lopez sent in this one. 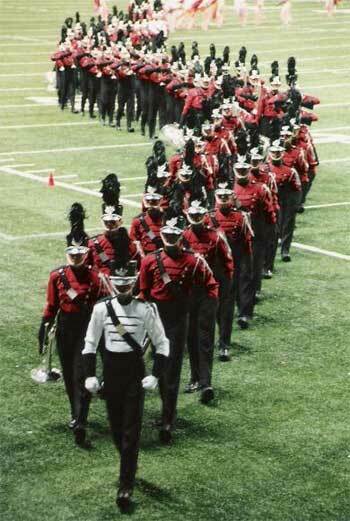 "Here's a pic of the Boston Crusaders walking off of the field, being led by their drum major. I dont know much else about the picture. It looks great though." Thanks Fernando! E-mail your best shots from the summer to dave@dci.org along with where and when the photo was taken. Send some biographical information about yourself as well. We'll give you full credit. Also, let us know if you want your e-mail address included.